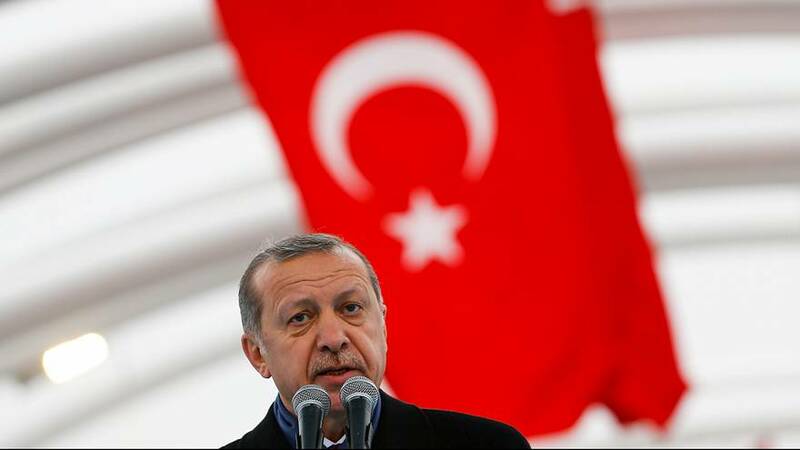 This Sunday Turkey votes on whether to grant President Recep Tayyip Erdoğan sweeping new powers. The proposed reform would mark one of the biggest changes to how the country is run in more than a century. Critics have branded it undemocratic and a power grab, while proponents argue it would hand Turkey stability at a time of turmoil. Here we take a look at what changes the referendum could herald and what their impact would be both domestically and internationally. The vote will ask Turks to approve or reject a new draft constitution that would change the country from a parliamentary to a presidential republic. the president, currently just the head of state, becomes both the head of state and head of the executive. the role of prime minister is scrapped; position of vice president created. the president being able to issue decrees, declare emergency rule and appoint ministers and top officials. the president being limited to two, five-year terms. parliamentary and presidential elections being held every five years, on the same day. parliament being able to investigate or impeach the president via a majority vote in parliament. It would need a two-thirds majority to send the president to trial. Erdoğan’s supporters view the plans as a guarantee of stability at a time of turmoil, with Turkey’s security threatened by wars in neighbouring Syria and Iraq and a spate of ISIL and Kurdish militant attacks. They argue it is a chance to modernise Turkey’s constitution, drawn up in the aftermath of the military coup in 1980. Proponents also say it will improve decision-making because you would not have conflict between the president and prime minister or difficult-to-manage coalitions. Claims the changes would bring stability and avoid coalitions are not convincing, according to Esra Özyürek, an associate professor and chair for contemporary Turkish studies at the London School of Economics’ European Institute. She told Euronews the president and prime minister had been running the country single-handedly for the last 14 years and that there hadn’t been any coalition in this time. But the key concern is if these plans are approved there will be no checks and balances on Erdoğan’s power. There has long been talk of a move to a presidential system. Finally, in 2007, Turkey embraced a semi-presidential system, putting the election of the president to a public vote, as opposed to being appointed via a parliamentary poll. Erdoğan thus became Turkey’s first directly-elected president in 2014. But there was a desire to move to a fully presidential system and the failed coup attempt last year gave Erdoğan the excuse he needed, experts claim. “Right after the coup attempt President Erdogan said this was a God-sent opportunity,” said Dr Özyürek. “We can now do things we could not do earlier. Since last July’s coup, 46,875 people have been arrested; 4,070 judges and prosecutors fired, 7,316 academics sacked; and 162 journalists arrested, according to turkeypurge.com, which claims to track the knock-on effects of the rebellion. It would mean Turkey’s parliament being robbed of its power, according to Brett Wilson, an expert on Turkish history from the Central European University. “The strange thing about it is that the current situation is that the president is basically doing whatever he wants despite the fact that theoretically there is a system in place to control him,” added Wilson. “In some ways it’s a formality but in other ways it’s eliminating those potential checks on presidential power. Other implications include Kurds losing out because their representatives in parliament will have less power. The changes, if approved, would come into effect in 2019, opening up the prospect of Erdoğan staying in power until 2029. And relations with the EU? While the EU needs Turkey in terms of its help with controlling migration into Europe, the country’s prospects of joining the bloc look increasingly unlikely. It began talks with Brussels on becoming a member in 2005, but recent events have seemingly soured the relationship. MEPs have called for talks to be suspended over the government’s post-coup crackdown, while the Council of Europe says ‘space for democratic debate in Turkey has shrunk alarmingly’ since the uprising last July. More recently, Erdoğan has accused Germany of ‘fascist actions’ after rallies over the cancellation of political rallies aimed at drumming up support for him among 1.5 million Turkish citizens in the country. What is the atmosphere in Turkey ahead of the referendum? After tense and violent parliamentary debates about the constitutional reforms, people are now being shamed into voting yes, according to Wilson.